Möther Fafnir! Zombie Vikings is part of Vote to Play! You know what that means, right? It’s time for us to charm your asses off. If you’re still not convinced that voting for us is the best idea since ice cream stuffed with cookie dough, here are a couple of other reasons! Single player and online/offline multiplayer! Hilarious writing by Zach Wienersmith, author of SMBC! Collectable Viking Runes. Gain new cool abilities and mix up your style of play! 5 versus arenas for the times when co-op just feels too nice! So vöte för üs! If we win and get super famous and rich, we’ll invite you all for a huge smorgasbord, complete with Swedish fermented herring and Dala horse decorations. So burst out from your grave, grab a can of lukewarm Berzerker™and join the most epic hackfest of the first millennium! Wouldn’t mind purchasing this game at a discount if it doesn’t win. The art style looks cool. Will get it either way. Voting for you guys to win. Loved “Stick It To The Man”. Very silly and fun. This definitely gets my vote. Ok, to be honest I was undecided between your game and Grow Home. Im putting my vote to this last one, but Im still planning to get “Zombie Vikings”. Youre too cool, and love pizza. I mean…Im obliged to get this game. Armello will be $19.99 on Steam was more during early access from what I read. Zombie Viking I have no idea but you did sell Stick it to the man on steam. We won’t know pricing till release for the Playstation but if it’s like steam than I would rather have Sony give Plus Members the more expensive game (Armello). Also to be honest I know the least about your game but love that it supports local co-op, Armello might too they haven’t said. 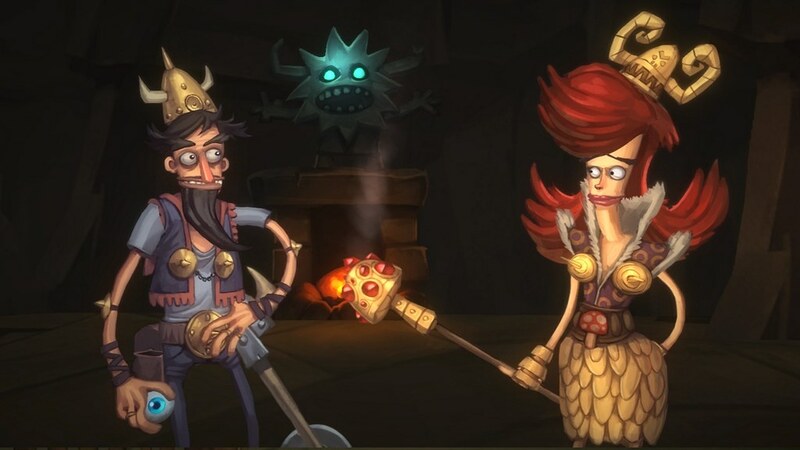 I am going to have to look for more videos of Zombie Vikings as the previous one has a lot happening and was had to follow everything going on or just watch it a few more times. 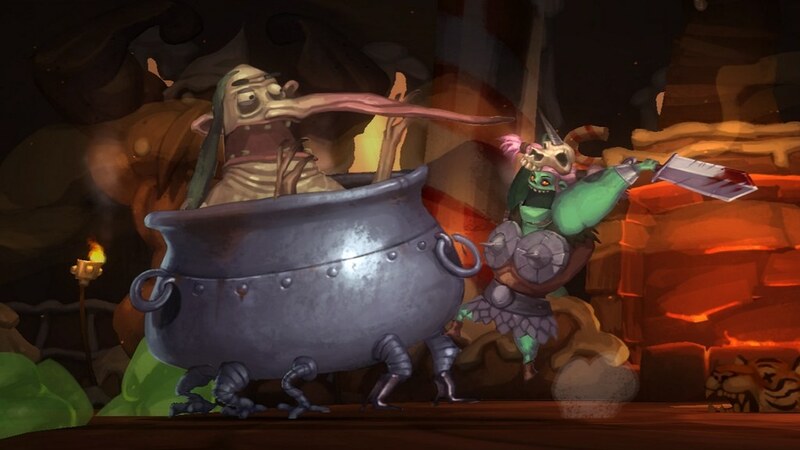 Zombie Vikings will have a $19.99 price tag as well. If you want to see some more gameplay you can check out this video from Gamespot! You guys have my vote! I love the art style. Combat seems fun and so does the story. Plus COUCH CO-OP! Would love to have some kind of video footage to determine my vote. Gameplay footage, to be exact. Is voting live yet? Not seeing how to vote right now…. This game is getting my vote, but I’ll definitely still buy it if it doesn’t win. Is this another Unity Game? Armello is easily the biggest “bang for your buck” game and the reason why I endorse it as my vote. The art style is very different yet beautiful in all the games available to vote for but the game that’ll have the longest lasting appeal is in doubt Armello. I’m getting both Armello and Vikings, voting for Armello because it seems you can play it forever. Good to know there is SP and offline MP. Won’t mind if Zombie Vikings wins…game looks nice oh and BTW way better idea than Stick it to the Man. Pretty sure you can only vote from your PS4 right now… I can’t find a way to vote in a web browser. >> To cast your vote, log onto the PlayStation Plus section of PS Store from your PS4 console. I enjoy playing co-op games with my friends … I vote for this game !!! I actually want to own this title and would prefer to buy it at the discount, but I hope you guys win if it’s better for your dev team! another 4 player couch coop …. DIGGING it. I’d rather not vote and hope they just put a Decent game and not more indie junk. (not all is junk but these are) Or we could stop being given indies at all. How do you know it’s junk? Have you played them? This game is obviously meant to be played with your friends. So it has to win the voting. Otherwise few people will buy it and we may not be able to find people to play together. I’ll vote for Zombie Vikings and purchase Armello at discounted price. So if I’m not around my PS4, I really can’t vote? It can’t be connected to your account, so I can vote on the PC store? I made my decision and I’ll vote for this one! Love co-op and loved “Stick it to the Man”. But I’m pretty sure my picks will never win on “Vote to Play”. ive lost faith in the PSN members with this vote. I cant belive that trash game Grow Home is winning ( a single player 8$ game on steam) compared to Zombie Vikings ($20 game) a modern day Castle Crashers with a better art style AND CO-OP PLAY!!! WTF everyone who didnt vote for ZV. A crappy game like that won the vote. Here in Brazil Zombie Vikings will cost 3x the 20 dollars you americans got to pay, due to cambial taxes. And I wont be able to afford it. Thus I won´t be playing the only game I really really wanted between the 3 up to votation. What happened with this game? This game should’ve won by a landslide. I think Grow Home looks cool but four-player co-op? C’mon people?!? But also, what happened to this game? I thought the games that didn’t “win” were going to be offered at a discount? I tried searching for this game on the store last night and couldn’t find it? Never mind, I found it on the web store. I’m not sure why I couldn’t find it via search on my PS4?